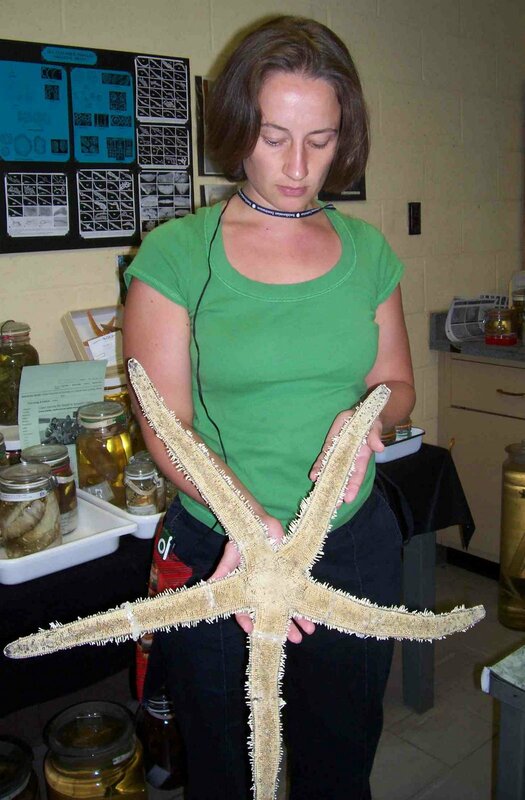 The Echinoblog: Learning about Luidia! 5 Things about The OTHER Sand Star! Learning about Luidia! 5 Things about The OTHER Sand Star! Luidia clathrata from the Wikipedia page! thank you! 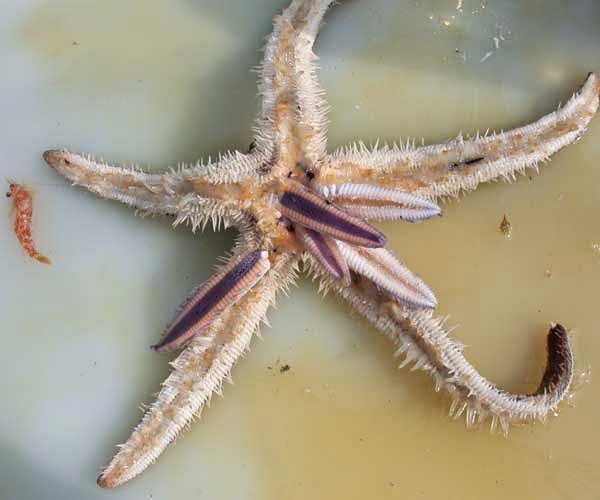 Probably one of the most frequently encountered but unappreciated of starfish is Luidia, a genus of seastar that occurs in tropics all throughout the world. Often times, in shallow-water and seen by MANY but known by few. Some species, such as this Luidia alternata from the Southeast United States were recently mistaken for brittle stars by some, no-doubt, well intentioned but misinformed journalists! (here) Just to clarify: these are NOT brittle stars. Go here to see some characters you can use to tell them apart. 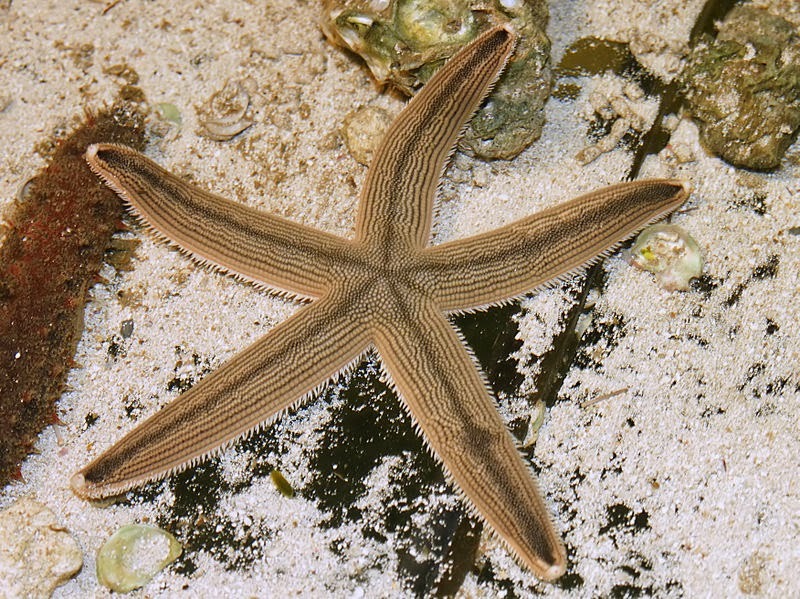 I'm talkin' about sea stars in the genus Luidia, which is the only genus in the family Luidiidae. There are 49 species which are found all over the world, mostly in shallow tropical to temperate waters. Some get deep, but not very.. None occur at high latitudes (i.e., Arctic or Antarctic). 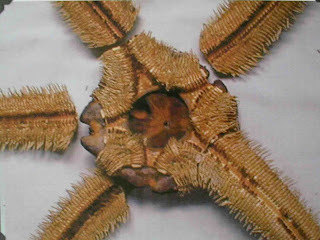 This group of starfish is named for the Welsh naturalist Edward Lhuyd who went by the latin name Luidius! 1. Where Do They Live? Sea stars in the genus Luidia typically inhabit shallow-water, tropical to temperate water places among sand or mud. Basically, wherever loose sediment is found. 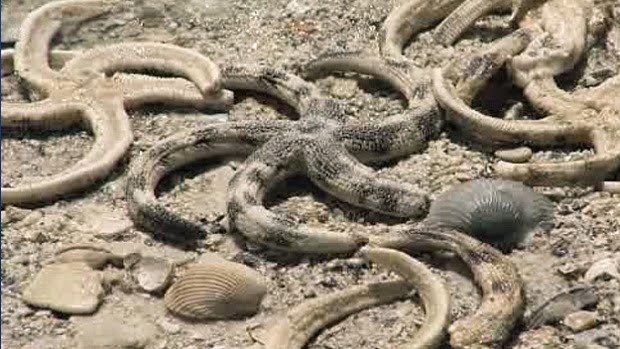 In this respect, they are similar to the better known "sand stars" in the genus Astropecten. (Also a reason why common names don't have much use for scientists). Here's a big Luidia maculata buried in the sand. Disturbed and then turned over.. I would note that the reason you often see these washed up after storms is because so many of these stars live on sandy bottoms. When you have any kind of turbulence they get "blown" up and washed onshore. Luidia can be pretty plain looking. But body form in these is pretty distinctive. 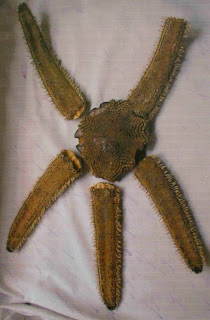 Arms are long and straplike (Luidia clathrata from the SE Atlantic shown here). Even the pointed tube feet have stripes sometimes...! 3. Diversity: How many kinds are there? As mentioned earlier, there's some 49 species of Luidia known. They occur in the Atlantic, Pacific and Indian Oceans in temperate to tropical waters. A few live in deeper water. Several Luidia species have MORE than 5 arms, often 12-15. You can see from some of the other videos and pics..these get pretty big also!! 4. What Do They Eat? and How? Luidia (and the family Luidiidae) are members of the Paxillosida, which is to say the "Mud stars." Almost all of these swallow either prey in sediment or sediment in order to find food. But, as with other members of this group, they lack an eversible stomach (such as what you would see in say, common intertidal starfish). So, they actually just SWALLOW what they eat WHOLE. You can get an idea of how this works by watching this.. So, yeah. You get the idea. 5. Ecology! What does Luidia interact with? If its one thing I've observed a lot of since starting this blog is how many sea stars are actually HABITATS for other animals. aka 'commensals' wherein the host is unaffected by the presence of the critter taking advantage. 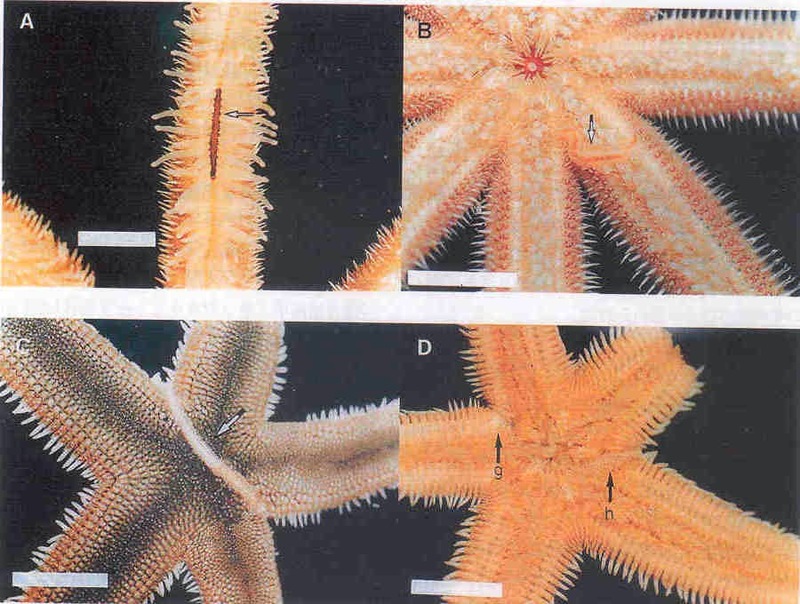 I've written about how closely some polychaete worms have relationships with sea stars before. (here). A 2002 paper by H. Kohtsuka at Notojima Aquarium and my colleague Toshihiko Fujita at the National Science Museum of Tokyo (Reports of the Noto Marine Center 8: 17-27) shows that several polychate worms live in association with at least two different species of Luidia, including Luidia quinaria and the large, multi-armed L. maculata in the Sea of Japan. Other BONUS FACTS about Luidia?? A big multi-armed Luidia on its tippy toes? is REALLY WEIRD... For more info on this GO HERE. What are the DEEPEST known echinoderms? ?